The road to Mt.Shirane is closed in winter. It is impossible to see the green lake(Yugama). 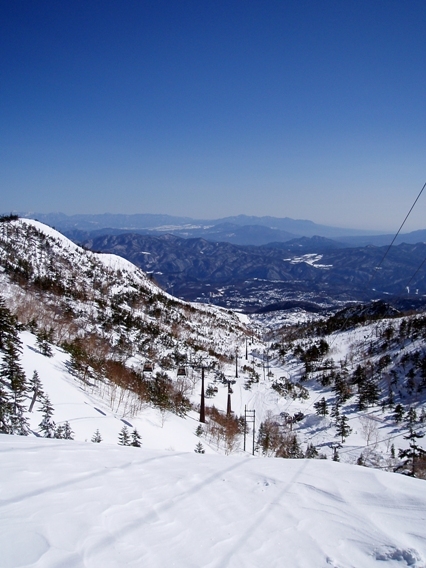 But at fine day you can enjoy the sightseeing in winter mountain. When you go to Mt.Shirane, you should use the ropeway. And there is a free shuttle bus between Kusatsu Onsen Bus Terminal and the ropeway station. The schedule of the free shuttle bus is here.